The gumbo at Blue 44 must be pretty good. Like $2,000 good. 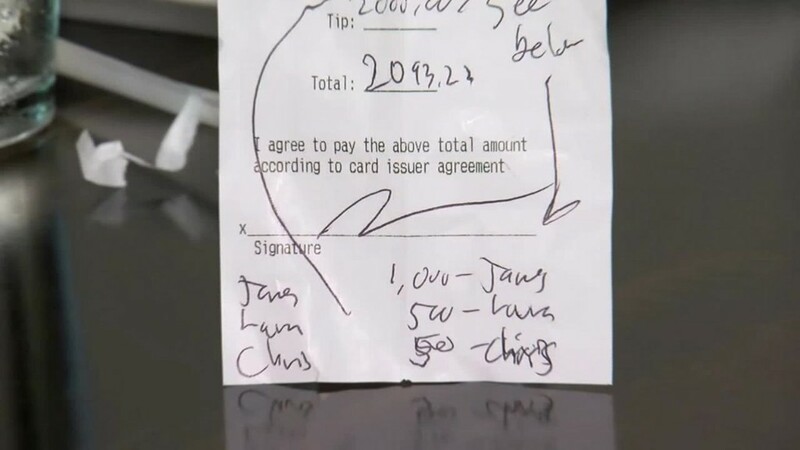 A regular patron at the Washington, D.C., restaurant left a $2,000 tip on a $93.23 tab on Monday night. "I looked and adjusted my glasses; that's a lot of zeroes," said owner Christofer Nardelli, on his reaction when first seeing the receipt. Nardelli said he and Blue 44 Chef James Turner e-mail with the patron periodically. "My chef keeps him updated on when we are going to have the gumbo, he is a huge fan." Nardelli said Turner had recently asked the patron about his next visit to make sure a batch is ready. The generous tipper replied he would be stopping by Monday night. And he did, and brought another diner. "He was excited about the gumbo, they both had it." At the end of the meal, he asked for more to go. The restaurant obliged, and packed up a couple of quarts -- on the house. "Obviously they were very appreciative," said Nardelli. Related: Are you more likely to tip if everyone knows you did? Along with a note thanking the staff for the gumbo, the customer left instructions on how to divvy up the tip: $1,000 for Turner, and $500 each for Nardelli and a bartender. The three were surprised by the 2,145% gratuity, which wasn't discovered until the end of the night. "We've never seen anything remotely close to this, you see 100% or 200%, but never anything like this." Nardelli said he plans to use part of his $500 to help cover daycare costs for his daughter and split some of it among other staffers. The large tip has created a buzz over the gumbo, which isn't on the menu, but offered as a soup of the day. "Our chef is going crazy to make sure we have large batches, things like this will obviously bring in a wave of people who want to try it." The restaurant is selling more of the Louisiana classic that has andouille sausage and chicken, according to Nardelli. "We've had several calls since 9:00 am from people telling us, 'I am looking for good gumbo.'" Related: Would you tip your dentist? Do you rely on tips as part of your compensation? Have you noticed a change in tipping habits? Would you prefer a regular salary? Share your story and you could be featured in an upcoming story on CNNMoney.